Executive Summary:“AMCL (Pran) Company” offers best quality juices with different packages to customers at a very competitive price. Depending on the market researcher’s information and considering the growing demand of different juices Pran is in the top position in case of juice. Although there are other juice companies, we can compete because our offering is totally different in the Bangladesh market for which customers will like to pay a bit more price. Our company’s primary mission is to product quality leadership and afterward market share leadership. PRAN stands for Program for Rural Advancement Nationally. The largest fruit and vegetable processing industry in Bangladesh with countrywide distribution network AMCL’s PRAN is an established brand of Bangladesh with an extensive sales force all over the country. PRAN have a well-developed infrastructure for production, sales and distribution. PRAN has proven itself as – Local product but of international standard. Serve small farmers with inputs. Marketing farm produce for profits. Organizing contract growers to grow specific crops. Soon it was apparent that a processing facility was imperative for a sustainable venture. AMCL therefore set up a factory on 8 acres in Ghorasal with machinery for bottling and canning in May 1991. The factory has expanded substantially over the last 9 years in all spheres of food processing e.g. bottling, canning, pulping, pickling, concentrating as well as installation of Bangladesh’s first Tetra-Pack facility and a modern Extrusion plant for snack food. Machinery for all these lines are being installed, expanded, modified and fabricated continuously. AMCL are very keen to adopt a new technology as it is discovered because of being in such a competitive market. PRAN’s R & D are always working hard for a better technology of production. All departments’ administrative works are done through connected computers using the best software and hardware. Being a major exporter PRAN has to communicate a lot with outside suppliers, retailers or consumers. Therefore this section is very important for AMCL. PRAN has taken this communication issue very seriously. They often have to do meetings by doing teleconferences, internet shopping, video conference etc. AMCL provides with good quality products conforming to local tastes, health and hygienic standards which are of affordable price and within the reach of target consumers. This is the first and largest ISO 9001 certified food processing industry in Bangladesh. Head Office: PROPERTY HIEGHTS, 12 R.K. Mission Road, Motijheel, Dhaka-1203, Bangladesh. Factory: Ghorasal, Palash, Narshingdi, Bangladesh. AMCL and its Brand name “PRAN” have twin objectives – “achieving social values with sustainable pecuniary advantage for all our stakeholders. Hold on to the current customers and again gain customer loyalty. Gain competitive advantage over all the competitors. To double sales and expand production capacity every 7-8 years. To become one of the biggest names in international fruit and vegetable processing industry. Lack of the part of experience of the researchers. Unconfirmed accuracy of certain information acquired. Lack of information from the primary source. The comparisons may not be effective enough. Among many of their products PRAN’s main product is their fruit juice and fruit drinks, which is very popular among the existing market. The product line is. Currently there are so many juice companies in our country. Among them pran is the leader of juice sector in Bangladesh. Except pran, Lemu, Mojo, RC cola, Pepsi, URO Cola, Virgin, Fruti, Coca cola, 7up, Tiger. Shezan Juice, Rasna. Company using mobile shop in the shopping malls, offices and crowded areas so that people can purchase the product easily when they like to consume. We will make our consumer by Value Delivery Network. Government support: Being the biggest local force in the industry AMCL always had government by its side. Government has been supporting PRAN in many ways like subsidies, export subsidies, tariffs on foreign competitors etc. First mover’s advantage: PRAN entered the market when the product was still very new to the consumers and there was little or no presence of any other local companies with such investment. Therefore PRAN had the first mover’s advantage which they are still enjoying till now. Internal strength: AMCL has a very powerful management team to guide a strong gigantic workforce. Despite its huge size PRAN has been able to maintain labor productivity and increasing sales. Its labor productivity is twice as much as any other local company in the market (Not foreign companies). Market share: PRAN AMCL has a great competitive advantage over the other competitors. As mentioned earlier it is the largest fruit and vegetable processing industry in Bangladesh and holds the biggest share in markets in Bangladesh among the local companies. PRAN has the largest sales in fruit drinks after Coca-Cola and PepsiCo. External threats: Too much competition from international organizations, for example Coca-Cola, PepsiCo, RC-Cola, Virgin Cola, Rasna (India), Shezan (Pakistan) etc. Internal weaknesses: Large size of the business and workforce makes it difficult to manage perfectly. As a result it often causes internal conflict. Existing competitor of the current market is not that much strong which the pran company has. Pran can be export to other countries. Existing distribution channel is being used. High growth rate in this industry. Competitor can produce the same product. New innovation from other competitors could be a threat. For launching a product in the market, there is some procedure that should be followed by every marketer to move in the long run. Our product will enable our customers to have a different experience to try our juice. They will be able to differentiate our product in quality which is unique in the soft drinks market. They will not be able to feel the same way for the other soft drinks in the market. We shall charge based on “Overhead Expenses” and “Cost Plus”. Overhead Expenses include rent, gas and electricity, business telephone calls, packing and shipping supplies, delivery and freight charges, cleaning, insurance, office supplies, postage, payroll taxes, repairs, and maintenance. 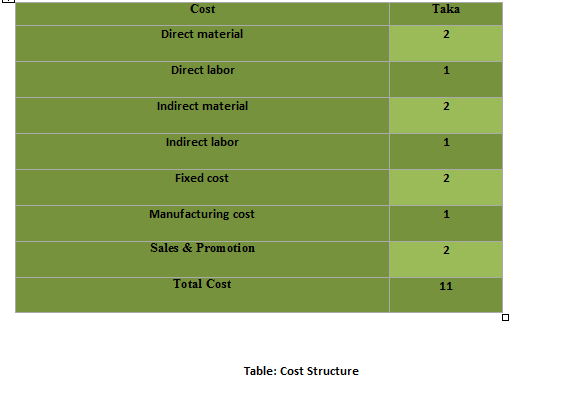 The accuracy of our costing will depend on estimating logical amounts for all categories of expenses. We have to list all overhead expense items and total they divide the total overhead figure by the number of items per month (or time period we used above). We want to charge 250 ml Pran soft drinks at the selling price of Tk.14. On the other hand, the prices for Pran soft drinks are to be charged for 500 ml Tk.32, for 1000 ml Tk. 60. We will primarily use our existing distributors for distributing our new product Pran Juice then; we will make some new channels and assign some distributors to promote our product to all over the country. We are using mobile shop in the shopping malls, offices and crowded areas so that people can purchase the product easily when they like to consume. We will make our consumer by Value Delivery Network. The most successful advertising will be through BTV, NTV, Channel I, ATN Bangla and RTV which are the most popular television channels in the country. We will also use some bill-boards and leaflets and we will hold a sport event to promote the product. We will also use our experience so that we can create attention to the customers. Our main target market people are the young ages people who like to drink juice very much. Mostly the school going students and the children. Beside that we also focus the young generation people. Although our main target market is young people but we also prefer the people of adult and old ages people. The brands of “Pran Juice” will be introduced in September. We make an action program for the next four months. And we believe that, if our four month action programs will run well, then we will achieve our goals easily. In June we will arrange meeting with our suppliers, dealers. And talk about our new product’s quality, product development etc. 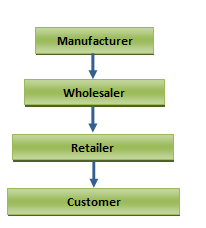 Our product is low involvement and buyers show habitual buying behavior. Then we will start production new Pran Juice. After meeting with the dealers we will provide sample Pran Juice to our customers for getting publicity. On the other hand we will give advertise of our new product in the Television, Radio, Bill Board, Banners, and in the Poster. Then we will launch our product in to the market. In the primary stage we will produce 250ml and 500ml can. After doing our successful operations of two month, at the third month we give extra benefits to the dealers and sellers to improve our sales. We will give small toys; arrange game. Observing the situations, at this stage we will produce 250ml can, and 500ml can for the consumers. In this month we will start to produce 1000ml can. And this month our product will be available in almost every shop of the country. In our last month of action program, if situation will favorable then we go for Divisional dealers to distribute to the whole country. Observing and analyzing we take necessary actions to develop product sales and increase our profit. In this way we will continue our production and give a particular image to the mind of every customer. 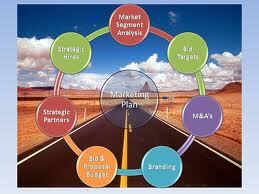 This section will offer a financial overview four company as it relates to our marketing activities. We have shown break-even information. Information that are given bellow are hypothetical. Consignment sales 20% growth rate year. As per un-audited half yearly accounts as on 31.12.10 (July’10 to Dec’10), the company has reported net profit after tax of Tk. 19.44 million with EPS of Tk. 24.29 as against Tk. 17.05 million and Tk. 21.31 respectively for the same period of the previous year. Our control depends on the customer satisfaction. If customer demand different things with which they feel comfortable, then we simply change our controlling techniques. product will be a strong product mix for our company. And once our Juice will reach to the hand of our targeted customers, we will be able to capture the most market shares.